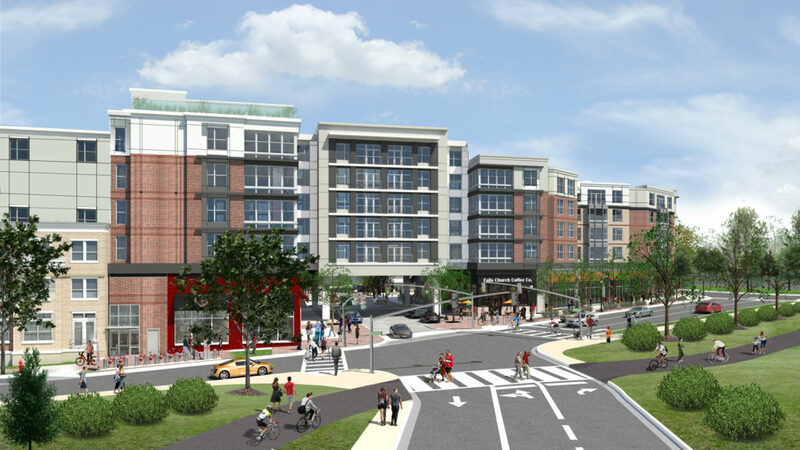 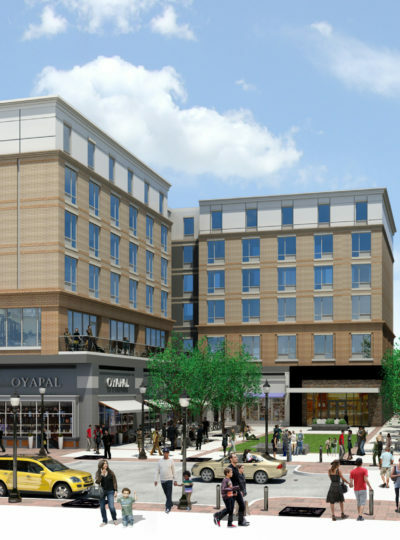 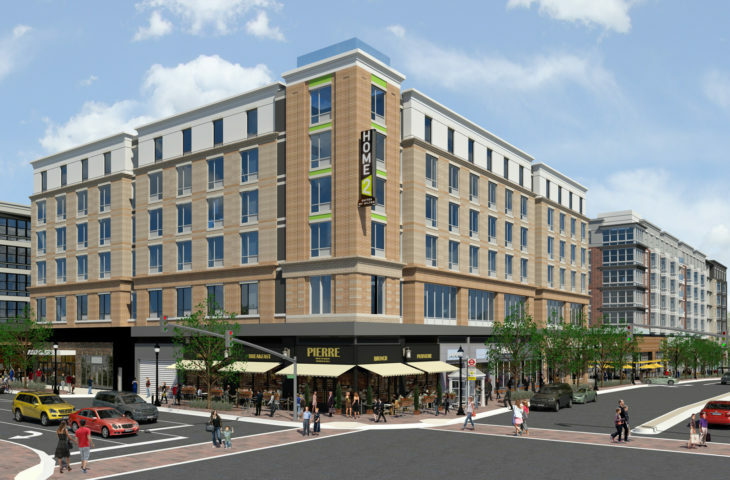 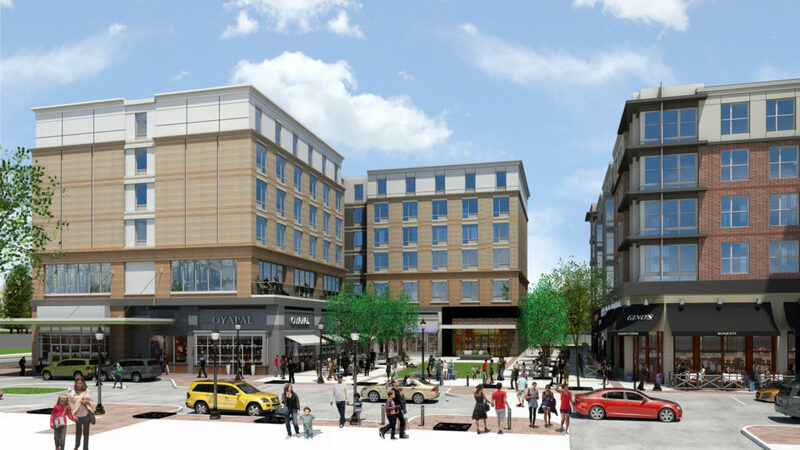 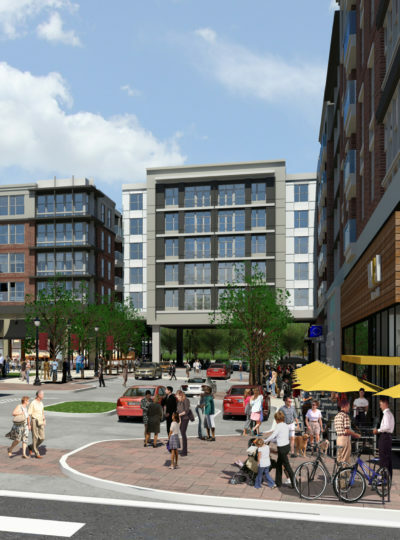 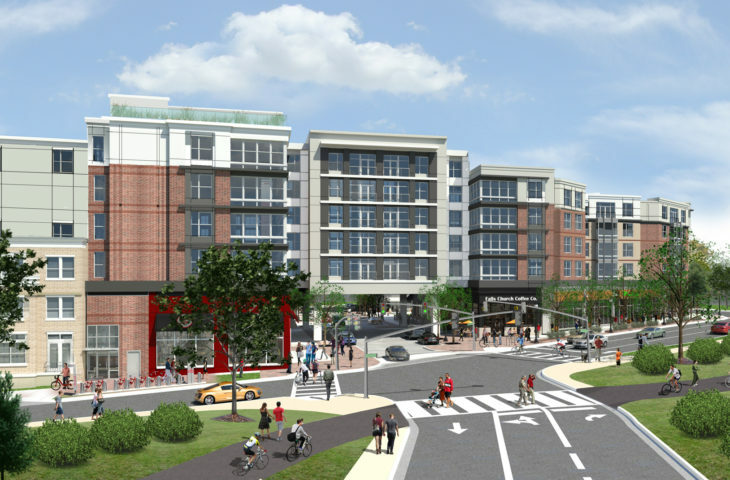 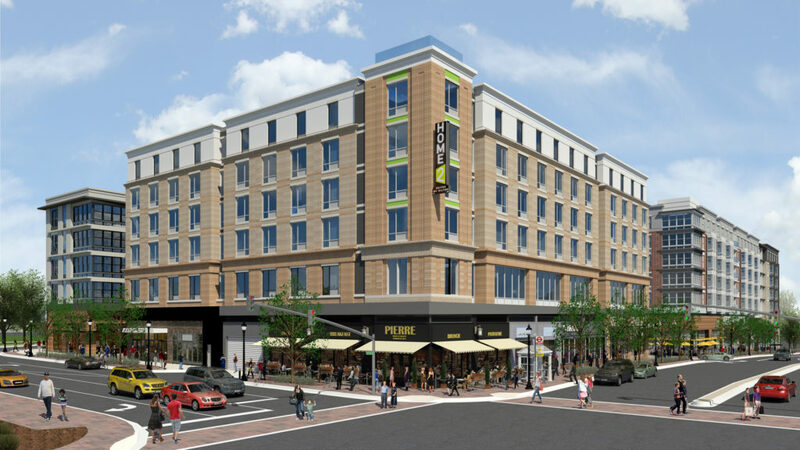 GTM was commissioned as the design architect for a new mixed-use development project known as Mason Row, located at the northeast corner of West Broad Street & North West Street in Falls Church, VA. 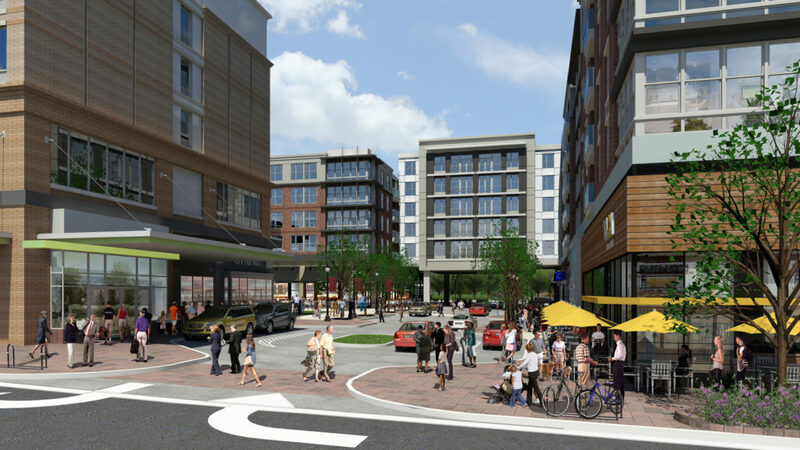 The city of Falls Church was anxious to provide a gathering space for its residents and tasked the GTM team to come up with a solution. 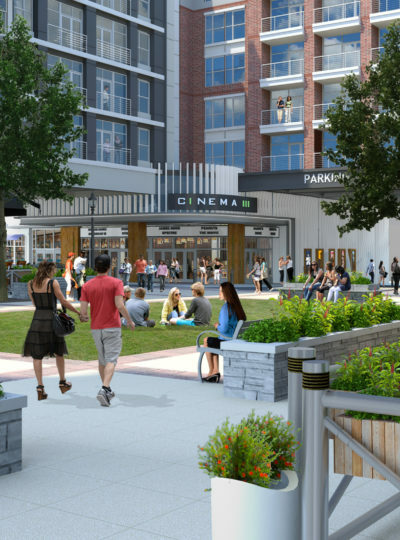 The design focus was to find a way to carve a town square and pedestrian friendly retail promenade from the six-story massing while maintaining the requisite program. 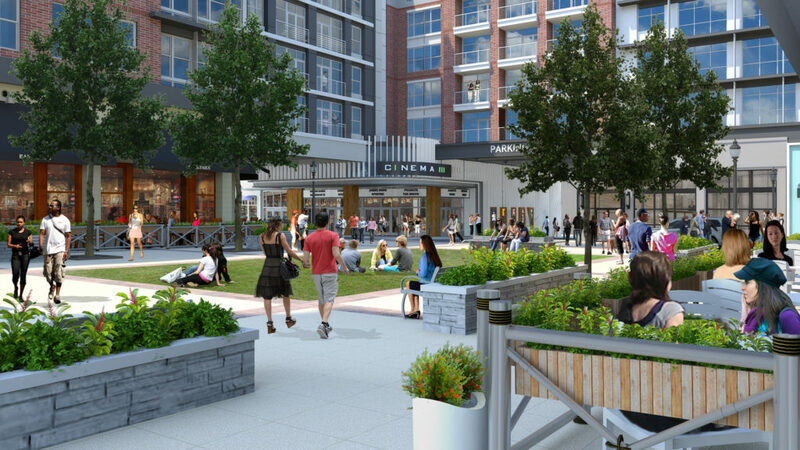 The end result was creating over 36,000 square feet of open space for the patrons of Mason Row for shopping, dining and local venues. 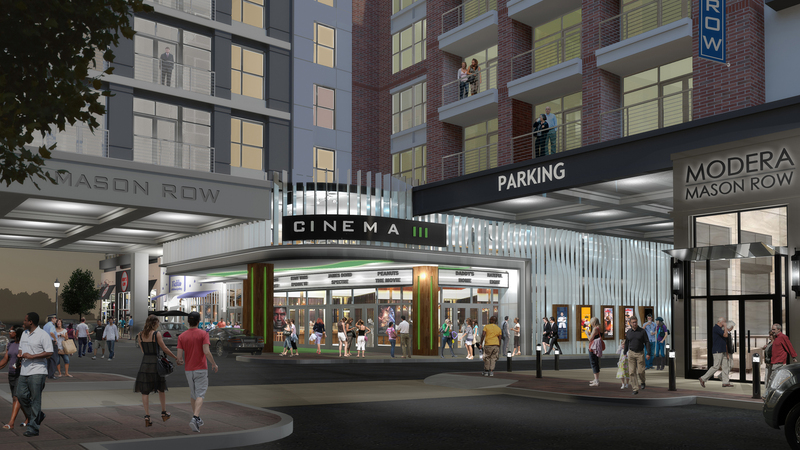 The Mason Row design will house the following on the 4.3 acre site: over 62,000 square feet of ground floor retail; a 30,000 square foot, two-level movie theater; a 372,000 square foot, five-story residential multi-family apartments with 323 units; a five-story hotel with 145 guest rooms; 5,500 square feet of office space: above grade and underground parking for over 1,000 cars.